This weekend I didn’t have my normal workout routine. My training session was pushed to Sunday and I hadn’t had a day of nothing in a while, so I took Saturday off. Sunday I had a great training session with my trainer. We went through the same machines as the week before and added some new ab exercises. This was my the last of my 3 training sessions included with the first month of my gym membership. Now I only get one a month. So after going through the workout my trainer and I sat down and discussed what I should be doing workout wise during the week. My goal is to work out 3 times a week, if I can do more, then I will. So we settled on one strength training day, one class (usually going to be body flow), and one cardio day. I’m very hopeful that I can do this. I want to see results, so I need to stick to it. 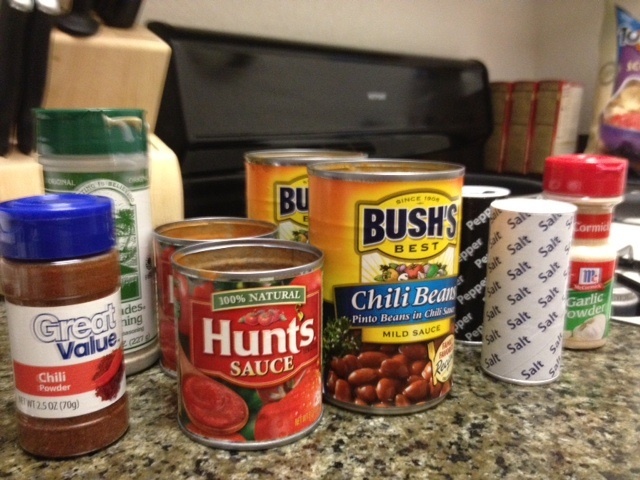 So after the gym, I only had one thing on my mind, making chili. My mom makes a really good chili and I wanted to duplicate, but with ground turkey instead of ground beef. After a couple phone calls and texts to my mom I was ready to go. Cook for as little as 30 minutes or as long as you want. 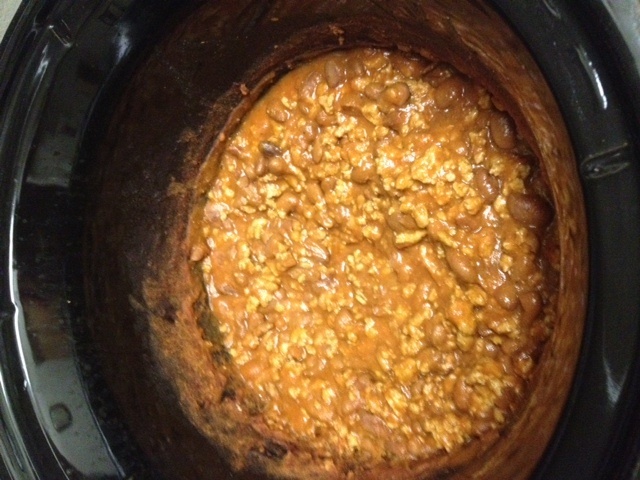 I used my crock pot for this so I cooked it in on high for an hour and then low for 4 hours. 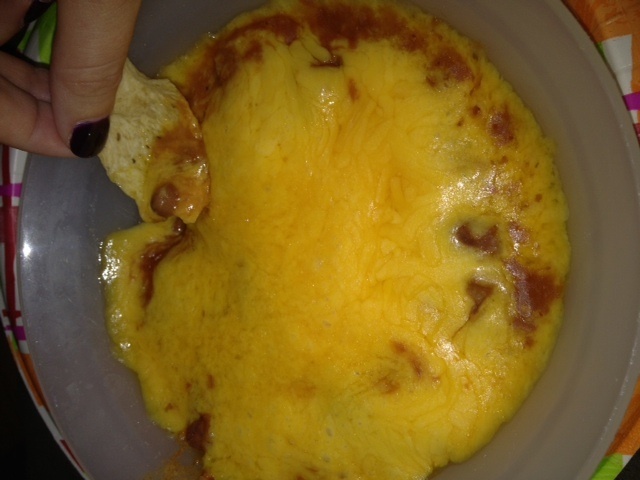 I added shredded cheddar cheese and ate it with tostitos scoops. It was really good. I can’t wait to eat the leftovers, because chili is always better the 2nd time around! Also, if you’re looking for an interesting and different chili recipe check out Lindsay’s Pumpkin Black Bean Turkey Chili.